Technical service, technical sales, etc. Our company is a "packaging machines (Seitaiiki)" manufacturer, making food bags, daily necessities that are indispensable for daily life such as detergents, medical packs, etc. In order to meet the manufacture industry's requirements, we are continually creating green products contributing to the wealth of society. We are also a leading company that has received high praise from all over the world as "Totani's technical development capabilities". In recent years, overseas sales have grown particularly. Our products have been exported to more than 60 countries and an overseas sales ratio is more than 60%. 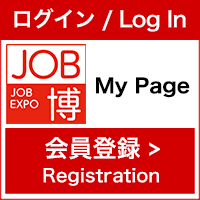 From now on, in order to continue to be a necessary company in the world, we would like to meet candidates who are willing to work not only in Japan but also abroad. The first assignment of all employees is technical service position. You will gain various experiences and knowledge through machine and work. ・Technical service machine: machine adjustment, telephone correspondence, domestic and overseas business trip with machine delivery and after-sales service. ・Technical service electricity：Adjustment of the electrical system, electrical material arrangement, electrical work management, after-sales service, etc. ・Mechanical design: Determination of basic mechanism and structure, strength and mechanical calculation, modeling, detailed design, fault adjustment after commissioning, etc. ・Development: Circuit design, embedded software design, control design, etc. ・Technological sales: B2B sales in Japan and overseas, marketing, product exhibition, estimate specification preparation, coordination with each in-house process, exhibition (Japan, overseas) participation etc. You may have a chance to work overseas in the future. Saturday, Sunday, national holidays, year-end and new year holiday, summer vacation, etc. Joining in-house Japanese training after getting in our company is also acceptable. We are proud of being the world's No.1 technology company in the packaging industry. Let's talk more at our company booth. We are looking forward to seeing all of you.